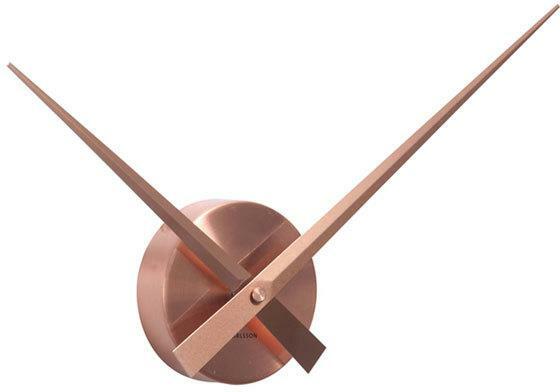 Go minimal with your wall clock with the Karlsson Little Big Time Clock Mini - Copper. 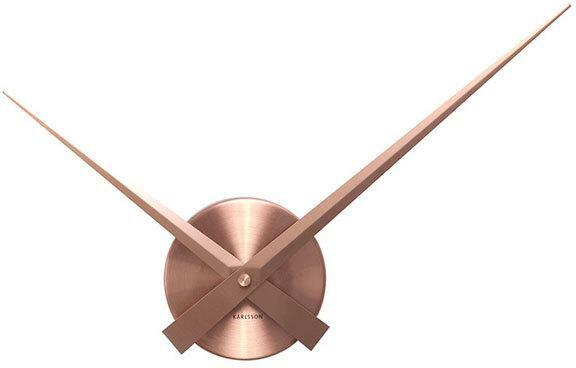 This lovely watch is perfect for those who prefer a minimalist style inside their homes or commercial spaces. The Karlsson clock has stripped off everything except for the two clock hands. Coated in gorgeous aluminum, it shines beautifully on any wall while also serving as a functional wall clock. You can get creative as you want since you can add any type of hour marker that you want or leave it as it is. Hang this up on your wall or use it inside your bedroom. It's definitely beautiful. You can also give this away as a present.